Johor Bahru is a popular and vibrant travel destination for many reasons. For one, the city has a long history and a rich cultural heritage, both worth knowing. Second, you can enjoy a plethora of city amenities while only being a short drive away from a wide variety of outdoor recreation. Talk about the perfect balance! It also helps that Johor Bahru is completely accessible, with Singapore connected to the city by the Johor-Singapore Causeway. If you are coming from Singapore, this makes Johor Bahru your gateway to all the treasures and experiences Peninsular Malaysia can offer. Here are the top 10 staycation spots in Johor Bahru for your upcoming vacation. First on our list is KSL Hotel & Resort, a solid option if most of your itinerary is concentrated in the city. KSL Hotel & Resort is only seven minutes away from Johor Bahru’s city center, so you can enjoy a more relaxed atmosphere while being near the city. What makes staying in KSL Hotel & Resort even more convenient is that it’s attached to a shopping mall. You can pretty much complete shopping for souvenirs at the last minute! Amenities at KSL Hotel & Resort include a dinosaur-themed water park, a cinema, a pool and spa, and even a golf simulator. Legoland, Puteri Harbour, and Universal Studios Singapore are all a short drive away. Thistle is one of the top hotels in Johor Bahru, almost always fully booked and with good reason. It’s only 6 km (3.7 mi) from the Johor-Singapore Causeway and offers a plethora of amenities to make your stay comfortable and memorable. Guest rooms and suites at Thistle are bathed in soft colors and appointed with high-quality furnishings. You can even enjoy views of the city skyline or the strait, thanks to the floor-to-ceiling windows. Hotel amenities include on-site restaurants, a children’s pool, a gym, and tennis courts. 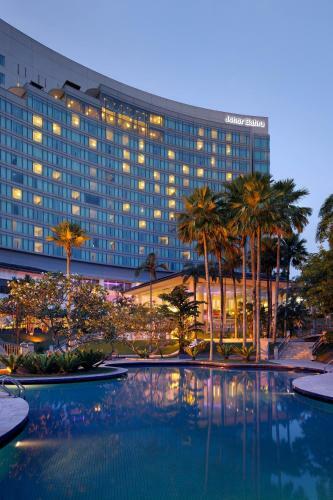 Amari Johor Bahru is a five-star hotel located right across Komtar JBCC, Persada Convention Center, and City Square Shopping Mall, right at the heart of the Central Business District. To make things even better, Amari Johor Bahru is a recipient of the Green Mark Gold Award. You can expect excellent customer service and a beautiful stay here. There is a wide array of amenities available at Amari Johor Bahru, including a 24-hour fitness center, a swimming pool for hot Malaysian nights, and the Amaya Food Gallery. The Johor Bahru Heritage trail and the Bazaar Karat Night Market are both a short walk away from the hotel. Grand Blue Wave Hotel, now more commonly known as GBW Hotel, is also a fine choice if you are looking for a convenient base in Johor Bahru. Located in the commercial district, it’s easy to get to KSL City Mall and JB City Square from here with their free shuttle service. What are the other things that make GBW Hotel an ideal gateway to Johor Bahru? The amenities, of course. GBW Hotel has an outdoor pool, a modern gym, and a 24/7 concierge ready to take care of your needs. There are two restaurants located on site to satisfy your cravings. 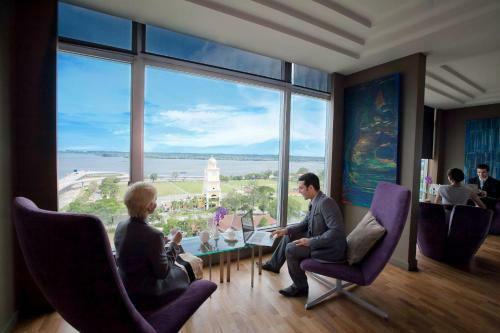 Do you want a taste of five-star luxury in Johor Bahru? Renaissance Johor Bahru Hotel welcomes you with open arms. It is located only a short distance away from some of Johor Bahru’s hottest attractions, including Komtar JBCC, KSL City Mall, Legoland, and Hello Kitty World. Amenities at Renaissance Johor Bahru Hotel are wide-ranging. These include a pool, a state-of-the-art fitness center, spaces for corporate events, and two on-site restaurants that serve Cantonese and international cuisine, respectively. Located just right beside Tebrau Highway, staying at Grand Paragon Hotel Johor Bahru means the rest of the city is right within your reach. And despite having a major thoroughfare located just outside, you can still relax in complete bliss. Grand Paragon Hotel Johor Bahru has 358 elegantly furnished guest rooms, catering to both tourists and travelers on business. And the amenities are exquisite. There are a health spa and gym, as well as a swimming pool where you can cool off. There is no need to go out to enjoy good food– Grand Paragon Hotel Johor Bahru offers many dining options. Are you traveling to Johor Bahru for business? Then The Puteri Pacific will be perfect for you. 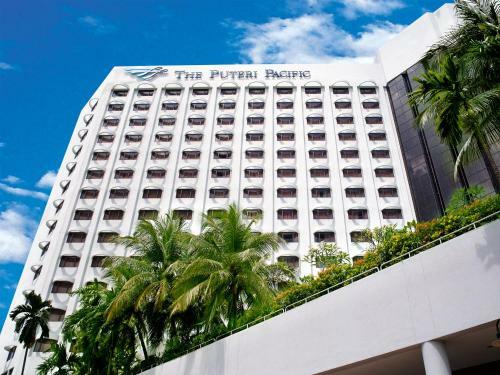 Located right across the Persada Johor International Convention Centre, it is the only hotel of its kind in the city. 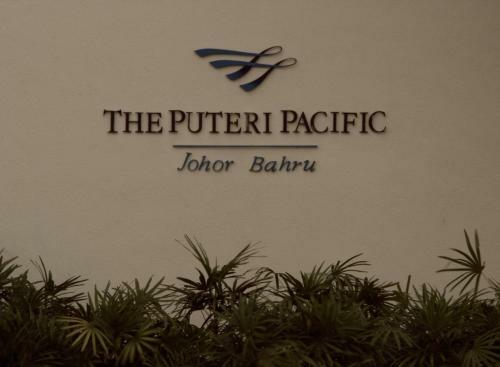 That said, The Puteri Pacific is also ideal if you are traveling for leisure? The hotel has hundreds of well-appointed rooms where you can relax and unwind after a day of exploration. Hotel amenities include a fitness center, which also has a spa, a sauna, steam baths, a jacuzzi, and even a dance and yoga studio. Molek Regency Taman Molek is an apartment-style hotel located at the heart of Johor Bahru. It’s perfect if you want accommodation that is a tad more relaxed than a hotel. Attractions such as the Angry Birds Activity Park are only a short drive away from this hotel. Each guest room at Molek Regency Taman Molek is furnished with a seating area, a kitchen, a dining area, and an en-suite bathroom complete with toiletries restocked regularly. 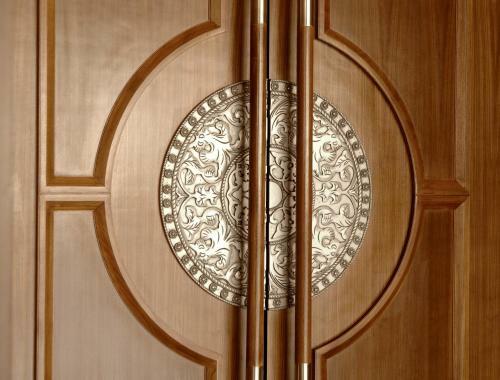 Meanwhile, amenities include an entertainment area with darts and billiard, a hot tub and sauna, and a swimming pool. Doubletree by Hilton Hotel in Johor Bahru helps elevate the whole staycation experience in the city. Their large outdoor pool alone will impress, as will the four restaurants located on site. You can go for a buffet breakfast at Makan Kitchen, sample some Italian fare at Tosca Italian Trattoria, and enjoy a cup of tea or coffee at the Food Store and the Axis Lounge. The guest rooms and suites at Doubletree are also quite luxurious. You’re in for a treat, with their plush bed and pillows, premium toiletries, and additional features available upon request and depending on your needs. Mutiara Johor Bahru has everything. Fantastic breakfasts? Check. Plenty of dining options? Check. Elegant and contemporary rooms? Check. And a whole lot of amenities? Check, check, check. 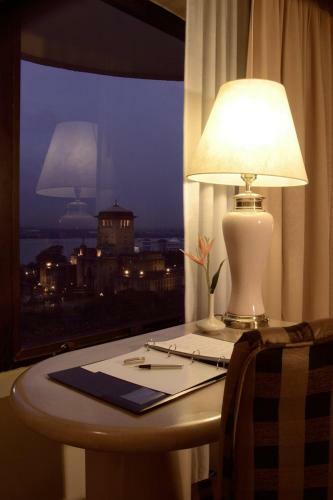 As you can see, staying at Mutiara Johor Bahru can be a positive and memorable experience. KSL City Mall is a short walk away from Mutiara Johor Bahru if you’re in the mood for retail therapy. On-site, there’s a fitness center as well as an arcade where you can let your inner child loose. In the mood for drinks and live music entertainment? Head to Mutiara Johor Bahru’s Polo Lounge. Unsure of where to stay? When it’s time for me to book a hotel or a vacation rental, I always have three important factors in mind: budget, location, and if free breakfasts are offered during my stay. This helps me narrow down my options and ultimately pick the best hotel or Airbnb for my needs and itinerary. It’s a simple travel tip. Try it out and hopefully it can help you find a hotel for your perfect staycation in Johor Bahru. Good luck and have fun!